Many couples, especially in recent years, and those getting married later in life or for a second time, are having Prenuptial Agreements drawn up at the request of either or both parties. New Jersey has enacted its own statute specifically dealing with prenuptial agreements. 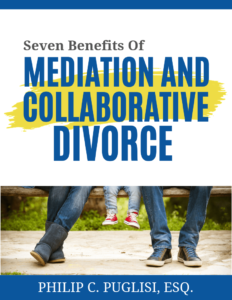 Typically, couples that are older and have been in the work force for a while, or entering into a second marriage, have acquired assets that they would like to assure remain separate upon separation or divorce. Further, one party maybe earning more and would like to define the scope of his or her alimony obligation upon any future divorce. The parties can legally agree on almost anything as to how they want to handle what happens should there be a separation or divorce, except if it violates public policy. For example, child support and issues involving the support of a child(ren) cannot be bargained away, as it is the child’s right to support, not the parents’. Some of the issues dealt with in a Prenuptial Agreement include property distribution, retaining premarital property to the exclusion of the other, whether and how much spousal support will be paid, how the house will be disposed of, how business interests will be divided if at all, how to handle inheritance and third party gifts to either or both spouses, and what to do with acquisition of marital property during the marriage, and premarital and marital debt. The basic requirements in New Jersey are that there must be absolute full disclosure of the assets, debts and income of the parties. There must be an agreement in writing signed by both parties, and there should be separate counsel to advise each party regarding the agreement. One will often hear about couples in the limelight getting divorced, and the terms of their prenuptial agreement, with one party trying to set it aside and declare it null and void. The grounds to do so usually involve one party being coerced or under duress to sign the agreement, or where it was procured through fraudulent means, or one party did not fully disclose his or her assets, liabilities, or income or other financial circumstances.